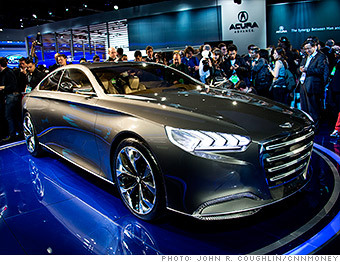 Here are a few of the concept cars on display at the 2013 Detroit Auto Show that may hit the streets in the coming years. This is an early look at the future of Hyundai's Genesis luxury sedan. Besides a new, sharper look it includes some interesting technology. Occupants can control the stereo, climate control and other feature through sensors that detect hand and eye movements.